When I sold my 3,500 sq. ft. house three years ago and downsized to a 900 sq. ft. house, I was very worried. How would I adapt to living in a space that was roughly one-fourth the size I was used to? Granted, I was not taking my two kids, who had grown up and left the nest, or a spouse who had also flown the coop. But what was I going to do with all the “stuff” that had accumulated over the years. My beautiful, newly renovated shotgun-style house, although charming, had no basement or attic space, and one closet. What could I live without? Turns out, a lot. It was very therapeutic to pare down to only what was necessary. Did I really need those 14 tablecloths with matching napkin sets for 12? I can’t even get twelve people in my new house at the same time. So a lot of “stuff” was given away, pitched or donated. And now I know every item that is in my house and where it is. I have to, there’s no place to hide! One thing I cannot live without, however, are well-designed items. This includes my appliances. 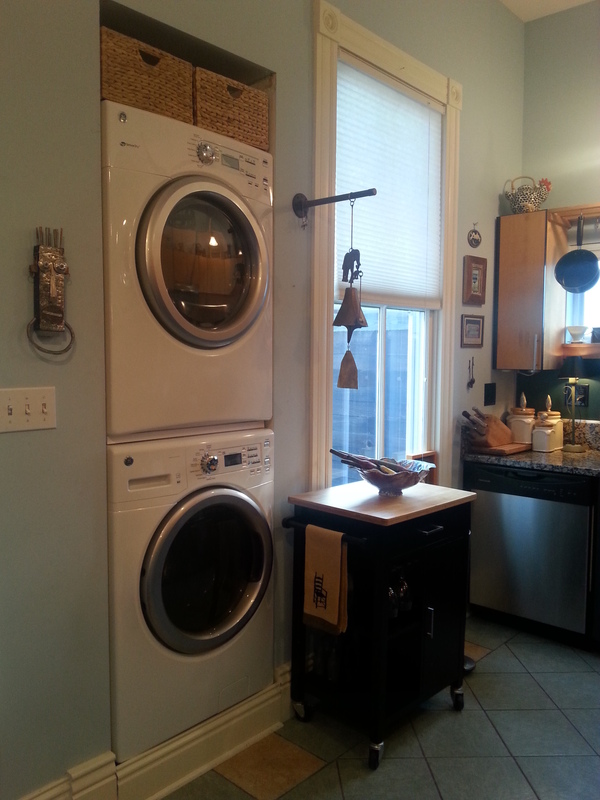 My kitchen is roughly 10 ft. x 12 ft. and includes all the typical kitchen appliances plus a washer and dryer. These fit snugly into a custom cut-out in the wall. When it came time for me to replace them, I was very concerned about finding new ones that would fit in the existing space. 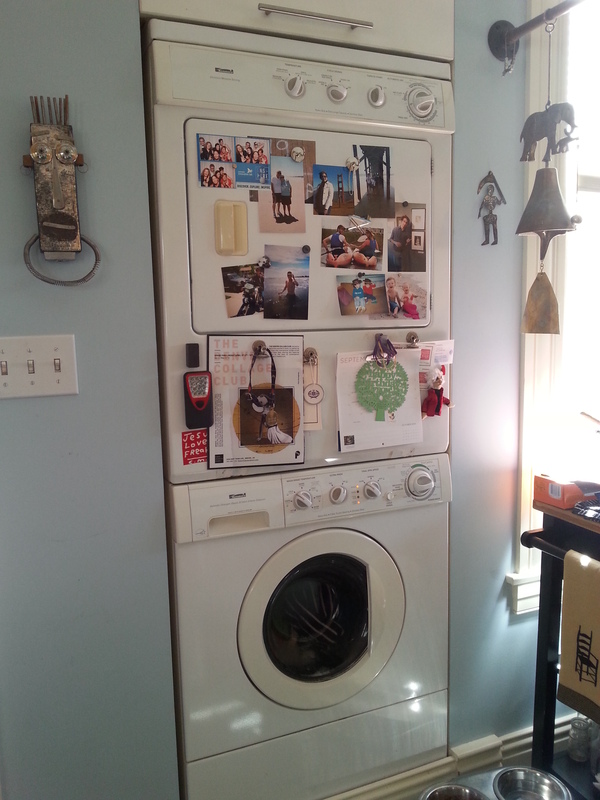 But thanks to GE, I was able to find a great looking stackable washer/dryer set that fits beautifully. 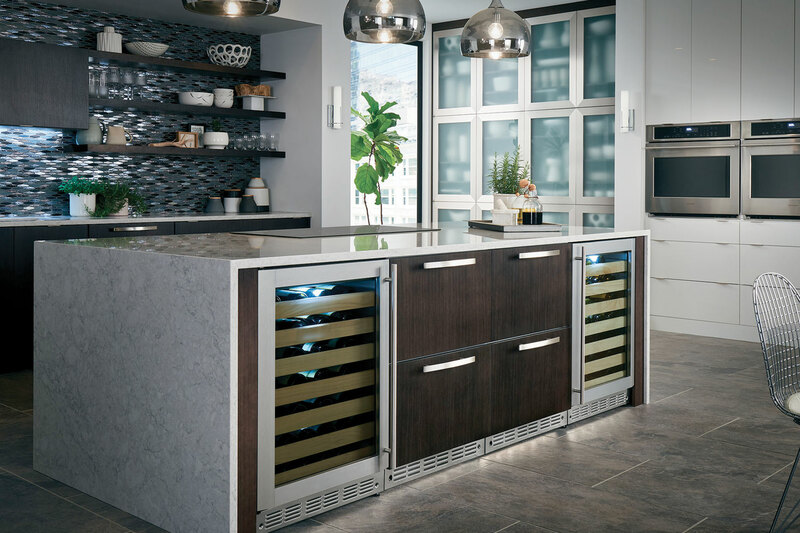 Not only do I have new, energy-efficient appliances, they are beautifully designed and add a modern, stylized look to my kitchen. And they are more than big enough to launder the three tablecloth sets I have now!